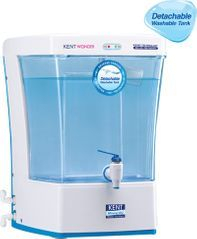 Our Water sources are increasingly getting polluted and as a result the water we get is full of Bacteria, Viruses, Cysts and Dissolved Impurifies. 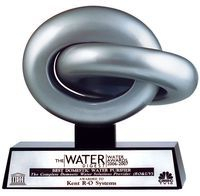 Conventional water purification methods have technological Limitations. 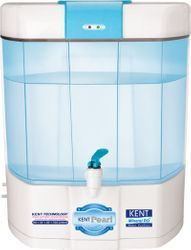 Need of the hour is a Total Water Purification solution that provieds us with 100% pure drinking water. 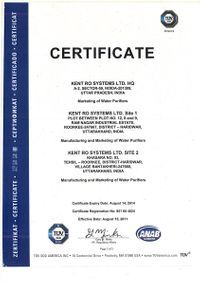 The Power of KENT Technology. The ground-breaking computer controlled KENT technology combines best of both RO and UV, while eliminating the limitations of a singel technology. 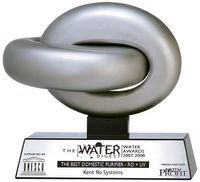 RO: Removes even Dissolved Impurities like Arsenic, Rust, Pesticides, Fluorides etc. besides removing Bacteria and Viruses. UF/UV: For double purification, totally kills remaining Bacteria and Viruses. 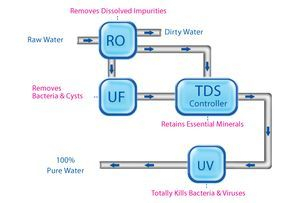 Mineral Retention : TDS Controller Maintains essential Natural Minerals in the purified water by adjustment of TDS. About Lokenath Kitchen Solution : Established in the year 2007, we, Lokenath Kitchen Solution, are one of the sole partnership firms that are engaged in supply and dealing of wide range of Kitchen Equipments. The comprehensive range includes Kitchen Accessories, Chimneys, Gas Stoves, Water Purifiers, and Modular Kitchen. Our kitchen equipments are acknowledged among our clients for the features like marvelous performance, perfect finishing, durable finish and elegant designs. Owing to distinctive attributes, these kitchen accessories are widely applicable in various hotels, restaurants, and households. Being an eminent dealer and supplier, we source our exotic range of Kitchen Equipment from the authentic vendors of the industry. Likewise, our Kitchen Chimneys are procured from KUTCHINA. We are pledged to attain maximum satisfaction to our clients by offering timely delivery of quality kitchen equipments at the industry leading prices. To meet the exact needs of clients, we are backed by a team of experienced professionals. Our entire team strives hard to provide quality range of Kitchen Equipments within stipulated time period. Due to this client centric approach, we have maintained huge client base across the Kolkata & Howrah. Under the able guidance of our mentor, Mr Arup Ghosh, we are able to attain strong foothold in the industry. It is his strong business acumen and motivational approach that has enabled us to attain maximum client satisfaction. Being quality as the prime objective of our organization, we have a well managed team of quality controllers. Our quality team rigorously inspects entire process from procurement of the products from the vendor’s premises to the final delivery of products to the client’s end. Further, for ensuring optimum quality products, our quality team regularly provides suggestion to clients regarding the prevailing demands of all the clients. Client satisfaction is the prime indicator for the accomplishment of every organization. We are a client oriented organization that believes in attaining maximum satisfaction of our clients. In addition, we have developed a wide business network across the Kolkata & Howrah to provide on time delivery of Kitchen Equipments. Due to this huge network, we are able to garner a huge clientele around the Kolkata & Howrah. 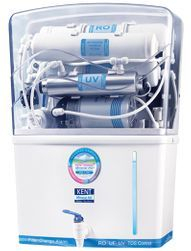 Doubel purification of RO followed by UV, removes even diddolved impurities, kills Bacteria & Viruses and makes water 100% Pure. 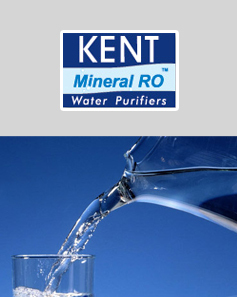 Mineral Retention- The patented TDS Control System retains essential Natural Minerals. Computer Controlled Operation with Filter Chenge Alarm and UV Fail Alarm. Automatic operation with storage capacity that makes water available on demand, even in the absence of electricity/water supply. Highest Quality Certification- Gold seal of WQA, USA.